We proudly present the Director’s Cut of the European Roadtrip leg of our trip including leaving home in the United States, our first few weeks in Germany, and then the drive south through Austria, Slovenia, Croatia, and backup through Italy. 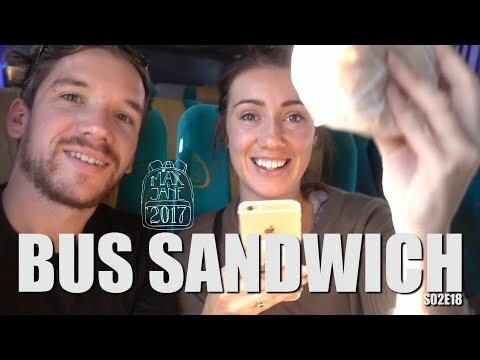 While not technically part of the roadtrip, this video also includes Greece (Santorini and Athens)as well as the visits to Poland and Turkey. Somewhere in there we go to Cyprus-it’s a country, ya know? Also, we’re cheating a bit here, but we threw the visit to Dubai into this episode…because why not? Feel I'm in the road trip as well. Thanks for sharing! I love your videos! We started watching your videos because we were trying to plan our New Zealand trip (for two and a half months this winter) and we’ve been watching your videos ever since. You two are great together and I love what you guys are doing with the channel and the website. I also just got my Tripped compression bags in the mail so I’ll leave an amazon review soon. And I love that you guys upload the episodes as single videos and as a binge video like this one. Anyways, I’ve written a novel. I wish you guys all the best in the future and thanks for the great content! Thanks for posting your trips. They were fun to watch! You guys are amazing. Had always wished I could do this but.. not yet. Anyways this is a huge inspiration to me. I was hooked up for the entire 2 odd hours… you guys give serious travel goals. All the episodes are so fabulous… just one word describes it, 'WOW'. Haha, almost everyone in germany and mainland europe can speak english to some degree (alot can speak it very well) problem is they dont want to in their own country lol which is fair enough. Honestly, I thoroughly enjoyed all the episodes. You guys are awesome. I really hope this is not the end. Since i'm from Europe, i'll watch it completely. Nice channel you guys have!